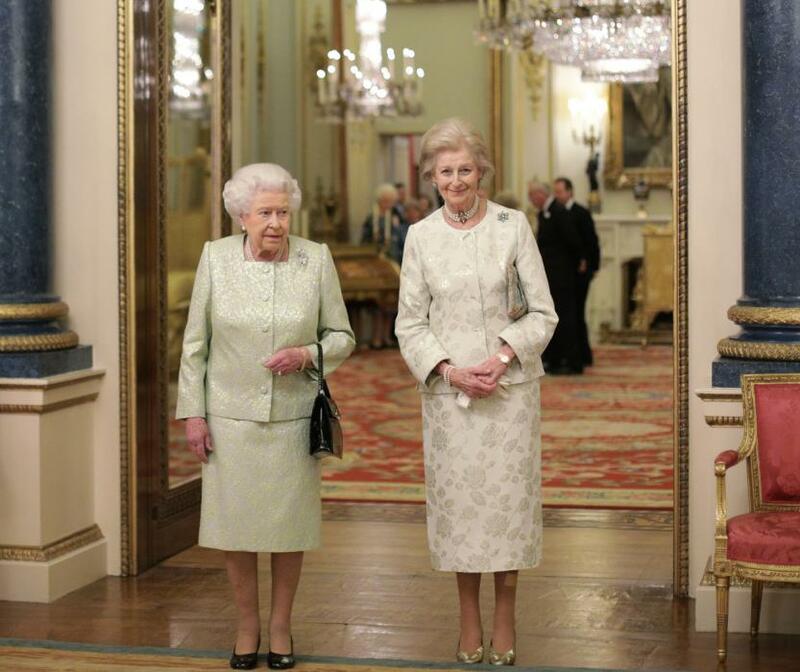 The Queen has hosted a reception at Buckingham Palace to celebrate the work and patronages of Princess Alexandra in the year of her 80th birthday. Representatives and volunteers from nearly 100 charities were present to celebrate the support of Princess Alexandra, alongside The Queen, The Countess of Wessex, and The Duke and Duchess of Gloucester. The Princess continues to support a great variety of charities, ranging from healthcare to the arts, some of which she has been affiliated with for over fifty years. Charities present included Cancer Research UK, British Red Cross and St Tiggywinkles Wildlife Hospital Trust. At the start of the reception, the Princess said: "The success of a Charity relies heavily on the dedication of hard-working volunteers and I am proud to know of the excellent progress you continue to make in the many different fields represented here - from the Armed Services, Community and Social Services, Culture, Education, the Environment and Health Services. " You can find out more about Princess Alexandra's work in support of The Queen here: www.royal.uk/princess-alexandra .